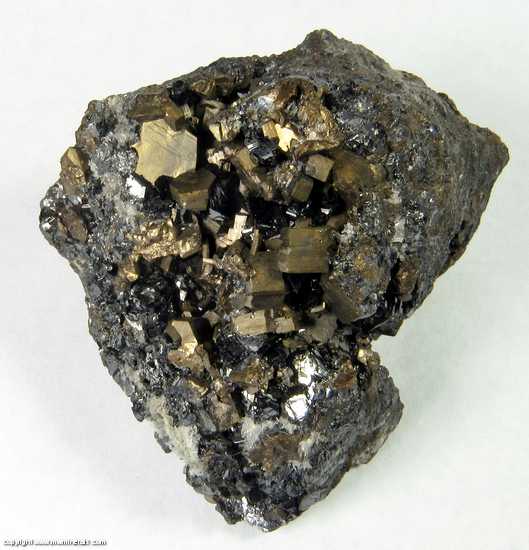 $45 Click here to order this mineral. 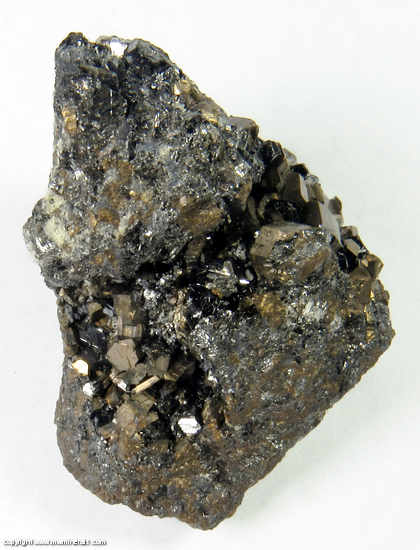 Well formed, hexagonal, bronze colored Pyrrhotite crystals with black colored Sphalerite and thin, elongated Quartz crystals. 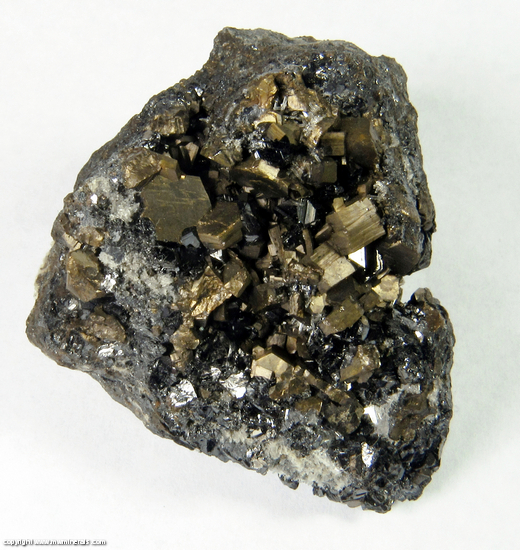 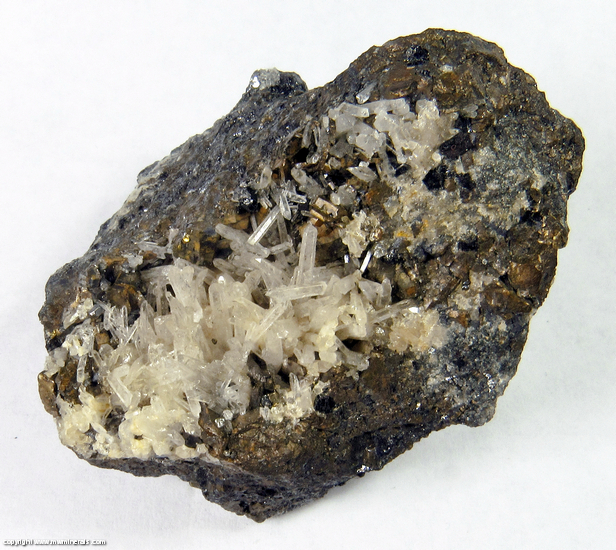 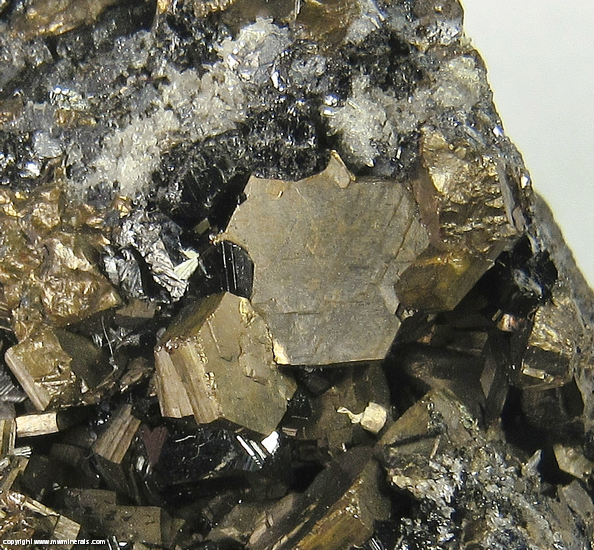 Flaws: Some of the Pyrrhotite crystals are incomplete.